If you want to know if your over the counter painkillers are killing your gains then you want to read this article. Non-steroid anti-inflammatory drugs (NSAIDs) reduce inflammation and pain by preventing the production of critical hormone-like molecules. Inflammation, though, is also a key part of muscular repair and growth. Consistently high doses of NSAIDs have been shown to reduce muscle growth from strength training; however, lower doses for short periods of time are probably fine. For many people, ibuprofen, naproxen, and acetaminophen are godsends. Whenever they feel a niggling ache or pain, they pop a pill and feel right as rain. Elbow pain from benching? No problem. Knee pain from squatting? Nothing a few pills can’t fix. Shoulder pain from overhead press? Not today. Have a bad case of DOMS? NBD, man. Take a few pills, and you’ll be able to push through workouts that might otherwise keep you sidelined. And others even take these over-the-counter (OTC) painkillers on a regular basis, just in case something starts to hurt. If you’ve read anything about these drugs, though, then you may have heard that they can also interfere with muscle growth. Some even go so far as to say that you should avoid them at all costs. It’s better to stay home and wait for your body to heal itself than to take a pill that kills your gains. Who’s right, and what should you do? That’s what you’re going to learn in this article. By the end, you’ll know how painkillers affect muscle growth, whether or not taking them will interfere with strength and muscle gain, and how to balance the pros and cons to get the best of both worlds. Painkillers are a class of drug that’s used to either reduce or block pain. When discussing painkillers it’s important to distinguish these and discuss them separately as they have very different biological functions. For all intents and purposes, NSAIDs work to reduce the production of inflammatory and pain-signaling molecules while opioids work primarily by blocking the receptors that sense pain. We’ll mostly focus on NSAIDs, in this article, as they’re the one that usually come up when we’re talking about muscle gain, but opioids are worth mentioning, too. Let’s go over each in more detail. NSAIDs are a class of drug that work throughout the body and reduce pain, fever, and swelling. They work by reducing the production of bioactive molecules involved in the inflammatory process, namely: eicosanoids and prostaglandins. These bioactive molecules are involved in pain signaling, pyrexia (aka fever), and the recruitment of immune cells throughout the body. NSAIDs work primarily by blocking these signals. In order to block these signals, almost all NSAIDs work by inhibiting cyclooxygenase (COX), a key enzyme in the production of these eicosanoids and prostaglandins. There are two isoforms of the COX enzyme, COX-1 and COX-2. NSAIDs are usually either COX-2 selective (e.g. celebrex) or ‘non-selective’ inhibitors, meaning that that target both COX-1 and COX-2 enzymes(e.g. ibuprofen). Naproxen (brand name Aleve or Naprosyn) is an NSAID and is a nonselective COX inhibitors. Naproxen is generally longer lasting and a dose lasts 8-12 hours. Ibuprofen (brand name Advil or Motrin) is similar to Naproxen in that it’s an NSAID and a nonselective COX inhibitor. Ibuprofen is generally short acting with a normal dose lasting 4 to 6 hours. Acetylsalicylic acid (brand name Aspirin) is an NSAID that irreversibly inhibits COX-1 and modifies the enzymatic activity of COX-2. In addition to its roles as a COX inhibitor, there’s some evidence that it modifies mitochondrial function and activity. Acetaminophen (brand name Paracetamol or Tylenol) is not an NSAID as it doesn’t work via the inhibition of the COX enzymes. This is the main reason why it’s used as an antipyretic (fever reducer) and not an anti-inflammatory drug. Unlike NSAIDs, which work to reduce the production of pre-inflammatory and pain inducing molecules, opioids work in the central nervous system to block receptors that are involved in pain receptor. Essentially they work to block pain signaling in the central nervous system. These drugs don’t help reduce pain signals, work largely independent of controlling inflammation, and just prevent the perception of pain. To date, there’s no real known connection between opioids and muscle growth. While most of the research and known functions of opioids is focused on their effects in the central nervous system, opioid receptors have been found in the kidney and have been shown to affect water and sodium resorption and vasoconstriction leading to reduced kidney function. For the rest of this article, we’ll mostly focus on NSAIDs. Why Do Weightlifters Take Painkillers? You or someone you know has probably taken painkillers to help them get through a workout. Many athletes, including lifters, rely on NSAIDs to cope with injuries and train around or through pain. A sore back here, an elbow tweak there. In fact, NSAIDs and opioids have been found to be effective for relief of back pain. Many athletes will use NSAIDs to reduce discomfort to train through their aches and pains. However, it’s been understood for decades that in the face of an injury, while NSAIDs might have acute benefits, using them to train through an injury can cause more harm than good. The reason is because they don’t actually make the damaged tissues heal faster—they just make you feel better—which just allows you to train hard enough to keep aggravating the injury. When it comes to opioids, the effects are much worse. Often time’s opioids are used to help cope with more substantial injuries or very painful chronic conditions. There have been a lot of anecdotal stories of athletes, especially power sport athletes, relying heavily on opioids to help manage pain during their careers and after. In a study of NFL players, 52% reported using opioids during their career, with 71% of those people reporting misuse of them. Furthermore, after their careers were over, the utilization of opioids was 3 times higher than the general population. To reduce fatigue and muscle soreness. There’s been some conversation that NSAIDs should be taken before a workout as a way to prevent inflammation and help you train longer and harder. Some also take NSAIDs after their workouts to reduce delayed onset muscle soreness (DOMS), so they can train again sooner and get in more volume. There’s no evidence to support this claim and, as you’ll see in a moment, the potential negative effects on muscle growth indicate this to be a poor strategy. How Do NSAIDs Affect Muscle Growth? To understand how NSAIDs affect muscle growth, we need to back up and look at how inflammation affects muscle growth in the first place. First of all, inflammation is the body’s immune system’s response to stimulus. This stimulus can be a wound, infection, or even some internal stimulus, like small amounts of damage to muscle tissue from exercise. The role of inflammation in muscle growth is analogous to Goldilocks and the Three Bears. Too much inflammation and muscles degenerate; not enough inflammation and muscles can’t properly grow. The role inflammation plays in muscle growth appears to be largely due to key signaling molecules acting at a local level (in the muscle tissue) and systemic levels of inflammation throughout the body. During the repair process of muscle tissue, inflammatory molecules and the inflammatory process itself is involved in the repair process. In fact, there are some experiments that have shown mechanisms by which satellite cells in muscle might use the inflammatory process to enhance muscle growth. Furthermore, inflammation has been shown to be a critical process in long-term adaptation of muscle tissue in its ability to maintain proper function as it recovers from damage. It’s believed that the use of NSAIDs might impair the repair of muscle tissue and reduce muscle growth by interfering with the inflammatory process. While small levels of local inflammatory mediators and inflammatory processes appear to be critical for muscle growth, sustained, higher levels of systemic inflammation appear to play a role in muscle degradation. As the vast majority of research on this topic, and the fundamental underlying biology is focused on NSAIDs, the rest of this article will focus on the role of inflammation and NSAIDs in muscle growth. High circulating levels of inflammation create an environment that promotes muscle degradation. In this sense, NSAIDs might be beneficial in aiding muscle growth. However, when consumed, the effect of NSAIDs is not restricted to circulation and they exert their effects directly in muscle tissue. It is at this local level that NSAIDs interfere with muscle growth. As mentioned earlier, NSAIDs inhibit the COX enzyme and reduce the body’s ability to make eicosanoids and prostaglandins, the latter of which can have hormone-like messenger properties that are involved in muscle growth. Additionally NSAIDs are known to reduce the production of myokines (muscle derived signaling molecules) like interleukin-6, which also plays a role in the muscle hypertrophy via regulation of the proliferative capacity of muscle stem cells. It’s also been documented that NSAIDs have been shown to acutely reduce exercise induced muscle protein synthesis. Mechanisms and animal studies are one thing, but how this plays out in the real world is a different story. Does taking NSAIDs actually prevent maximal gains in humans? Well, it turns out it actually might. How Much Do NSAIDs Reduce Muscle Growth? In a study of young, active, healthy men and women who were not regularly resistance training, the consumption of 1,200 mg of ibuprofen per day reduced muscle growth by almost 50% (7.3% growth in the non-NSAIDs group, vs 3.7% growth in the NSAIDs group) over the 8 week study. Interestingly, the non-NSAIDs group used the non-COX inhibitor aspirin, suggesting that many of these effects are directly related to the inhibition of the COX enzyme. To tie in with the mechanistic data above, the group receiving the NSAIDs also had lower levels of muscle IL-6 expression, which is a marker of inflammation. On the other hand, in a study in young, active women and men, the consumption of 400 mg a day (1/3 the dose of the previous study), did not impact muscle growth with both the placebo and the ibuprofen groups’ muscles grew 7 to 8%. Thus, it stands to reason that consistent, long-term, high doses NSAIDs are likely to prevent maximal muscle growth. However, short, intermittent, low-doses, or even consistent low-doses may not have an appreciable impact on muscle growth. However, there’s still much to be learned. There is also some evidence that older people respond differently to higher doses of NSAIDs than younger people do. In a study of older adults (mean age 67 years), consuming 4 grams per day day of acetaminophen or 1,200 mg/day of ibuprofen actually lead to greater increases in muscle growth than placebo. This may be due to the fact that older people tend to have higher levels of systemic inflammation, which is known to be involved in sarcopenia (muscle loss), so the systemic effects of NSAIDs in this population might have been more beneficial to the overall muscle growth environment than the reduction of the local “growth” signal. So, when is it okay or not okay to take painkillers? I think the best way to figure this out is to ask yourself a few questions about your motivations for taking them. Is it because you’re avoiding the discomfort of being sore after training? Do you have a chronic pain issue? Are you currently sick or suffering from excess inflammation? Are you taking them so you can bulldoze your way through an injury, instead of resting? Each of those questions provides a different answer to whether you should take painkillers. If it is to avoid the discomfort from training, the answer is most likely no. If there is an established medical reason to be taking them, then the answer is most likely yes. How much are you taking and how often? Higher doses of NSAIDs such as ~1,200 mg per day of ibuprofen have been shown to decrease muscle growth due to strength training. However, lower doses such as ~400 mg per day, don’t appear to have a significant impact on muscle growth. It would be pertinent to keep doses as low as possible to relieve symptoms (e.g. musculoskeletal pain or headaches), and no more. Are you taking NSAIDs or opioid based painkillers? Taking NSAIDs at high doses likely hurts your gains. Data on the impact of opioids and muscle growth is sparse, so a direct comparison between the two types of painkillers and their impact on muscle growth is not possible. However, it would stand to reason that individuals consuming moderate to high doses of opioids are unlikely to be able to train at a high capacity. Plus, there’s the whole addiction thing. Many people take painkillers to dampen muscle soreness from working out, keep training despite an injury, and reduce fatigue during their workouts. There’s no evidence that NSAIDs can enhance your performance, but they can help you train through injuries and muscle soreness. Even that might not be such a good thing, though. NSAIDs work by reducing inflammation throughout the body, including in the muscles. Although inflammation can get out of hand, it’s also an essential part of the process that leads to muscle growth. Studies have also shown that high doses of NSAIDs can significantly reduce the amount of muscle you gain after lifting weights. What’s more, taking NSAIDs to “train through” an injury usually just makes it easier to reinjure yourself. So, the bottom line is that if you’re dealing with enough pain that you feel the need to take painkillers, take the minimum dose possible to relieve the pain, and no more. Also, try to take them for as brief a time as possible until you feel better. 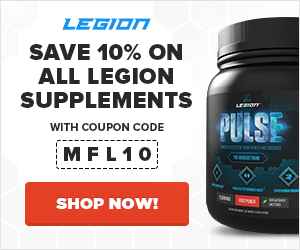 What’s your take on painkillers and muscle growth? Have anything else to share? Let me know in the comments below! 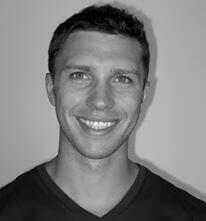 Brad is a trained Exercise Physiologist, Molecular Biologist, and Biostatistician. He received his B.A. from Washington State University and a Masters of Science in Biomechanics at the University of Idaho, and completed his PhD at the University of Idaho. He completed his a post-doctoral fellowship in translational science at Providence Medical Research Center, Providence Sacred Heart Medical Center and Children’s Hospital where he studied how metabolism and inflammation regulate molecular mechanisms disease and is involved in discovering novel therapeutics for diabetic complications.